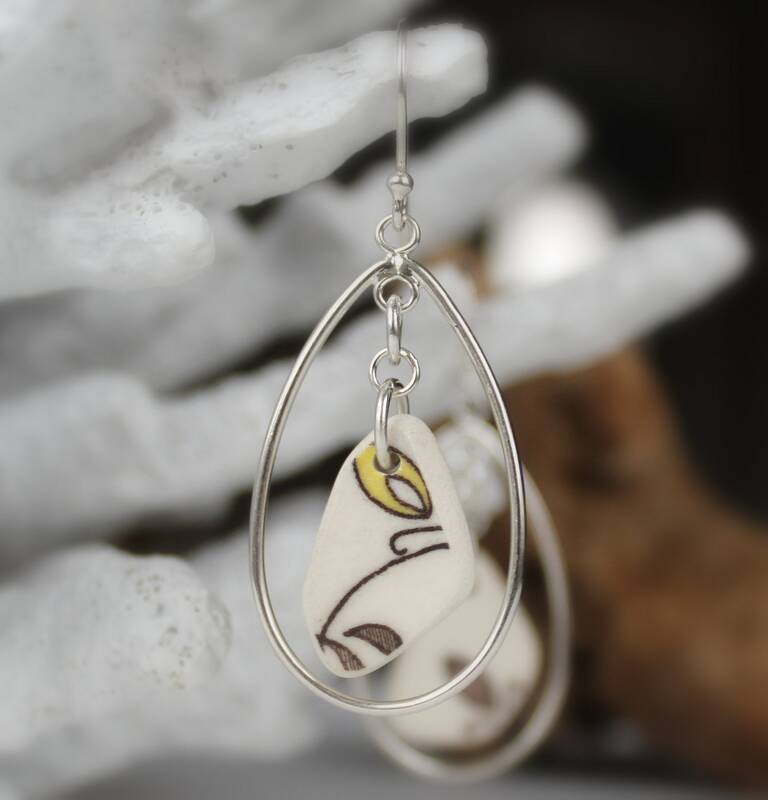 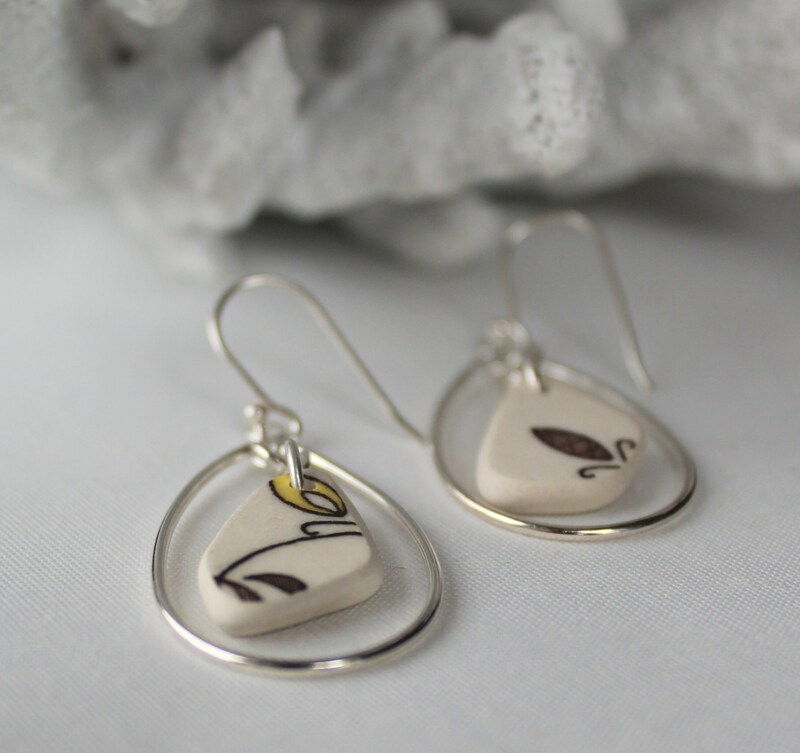 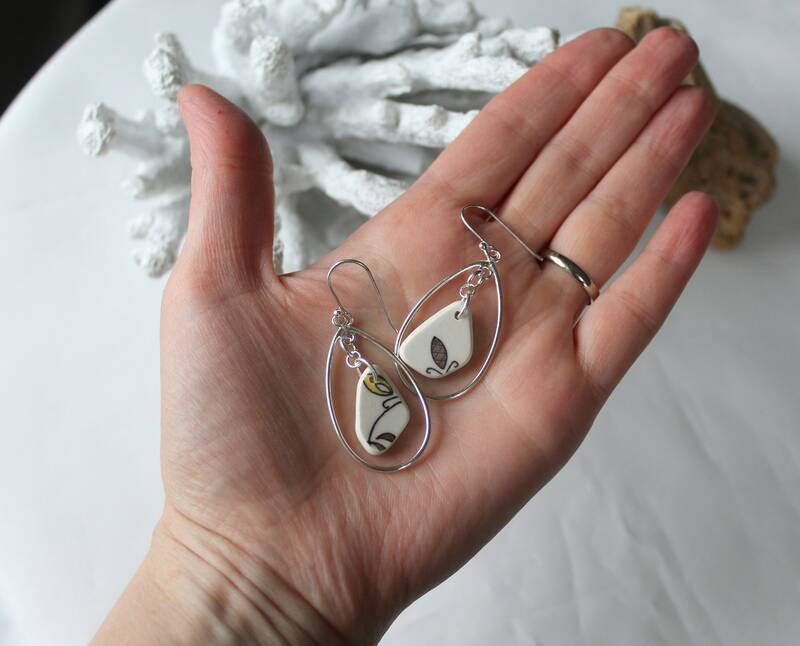 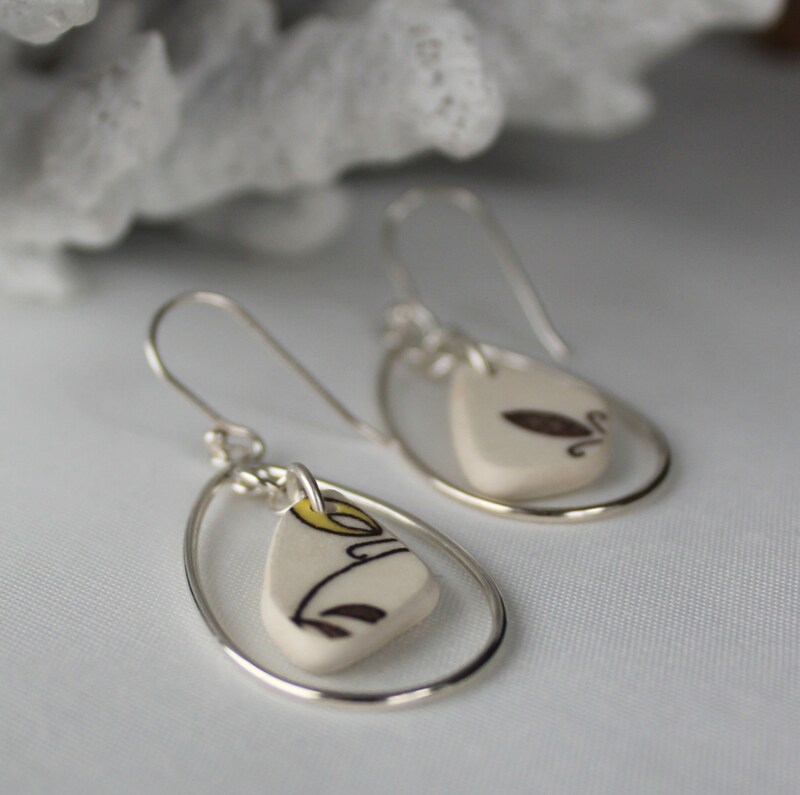 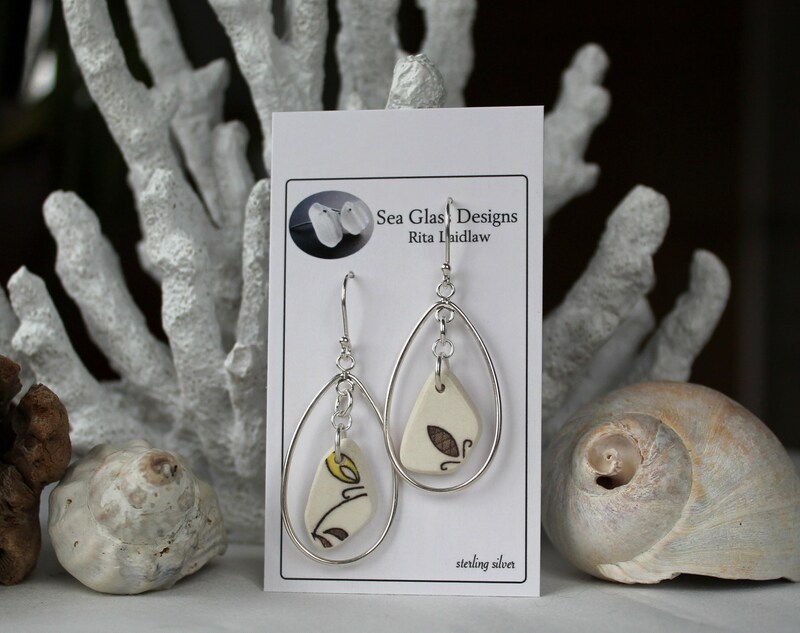 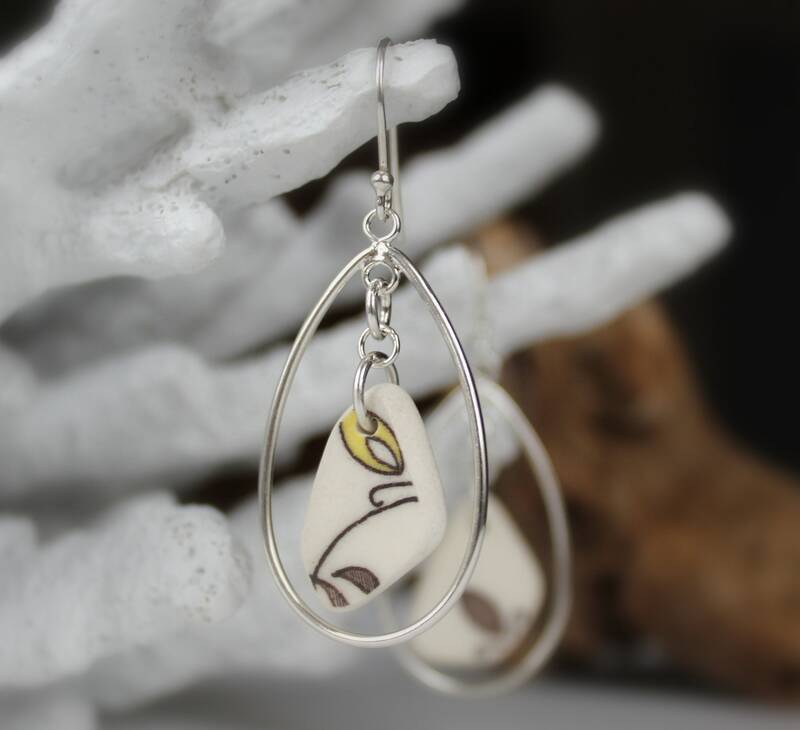 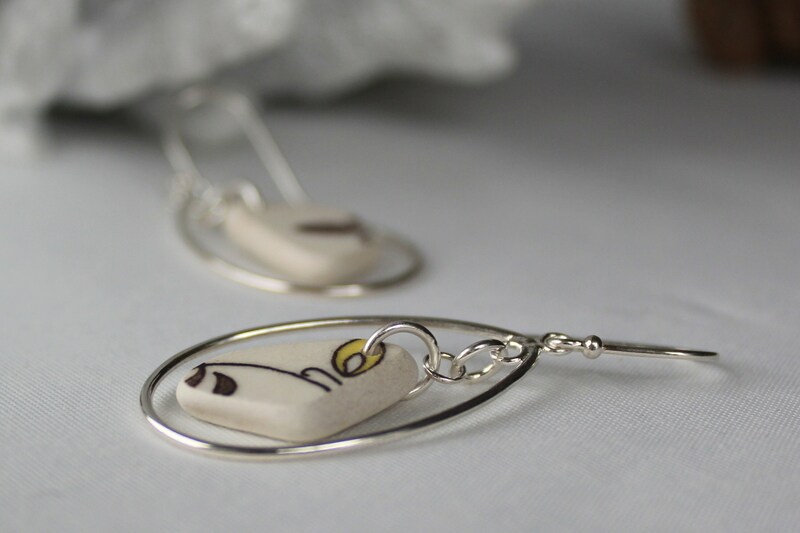 These Sea Keeper earrings feature pieces of genuine earth tone sea pottery gathered from Nova Scotia beaches, dangling inside sterling silver teardrops, on sterling earwires. 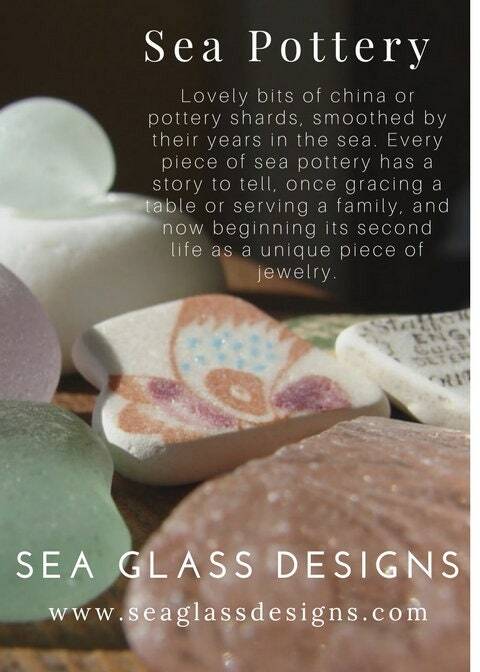 The pattern is original to the pieces. 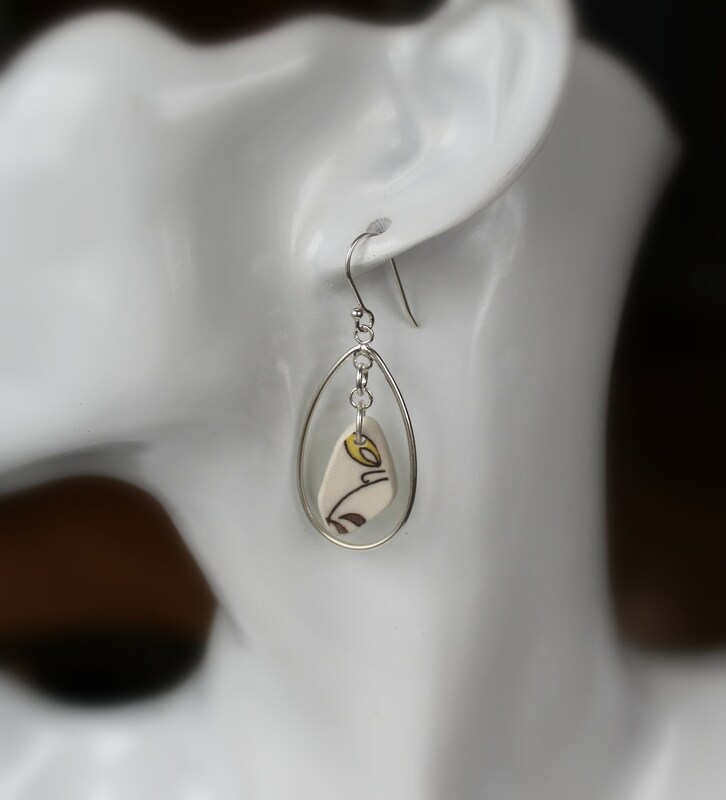 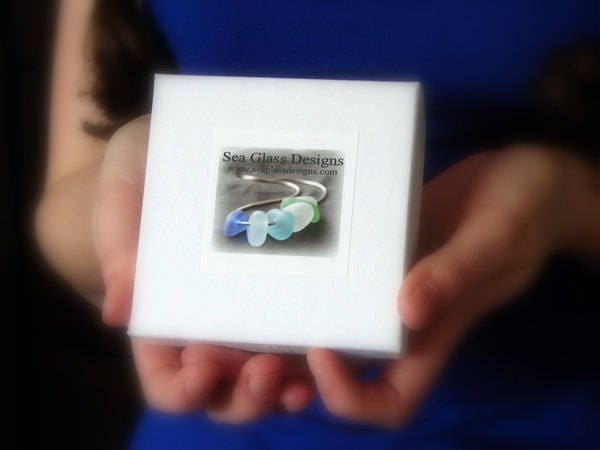 The earrings measure 2 inches in length.